A creamy, full coverage peach-based concealer designed to help cover up dark under eye circles. Layer with other concealer for extra coverage to neutralize the look of uneven skin. 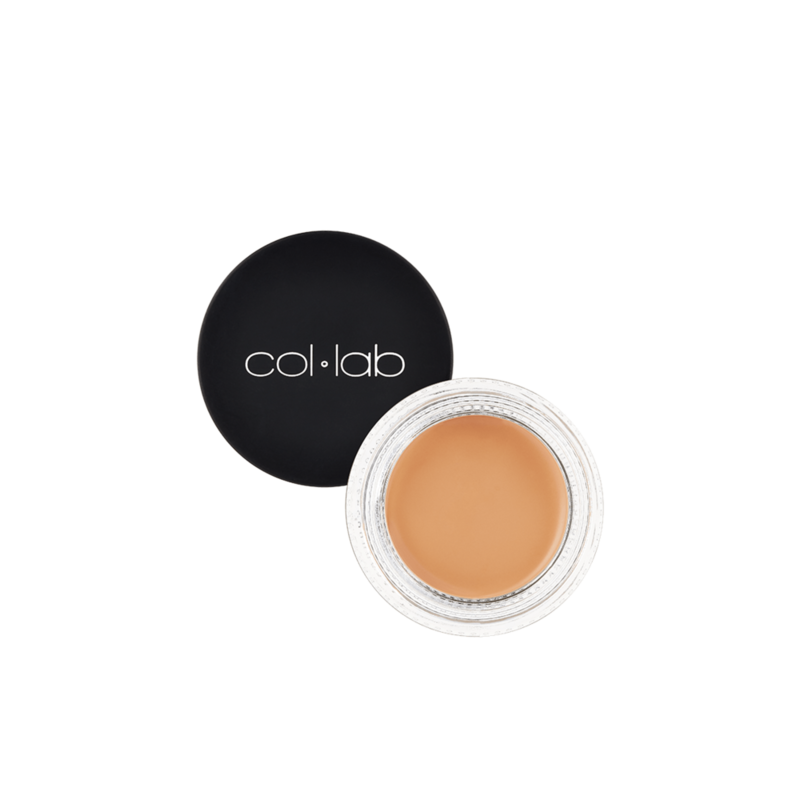 Apply concealer from the inner to the outer corners of the eyes and blend by gently patting with fingers of by using COL-LAB Angled Concealer Brush. Trimethylolpropane Triethylhexanoate, Octyldodecyl Stearoyl Stearate, Kaolin, Boron Nitride, Hydrogenated Polyisobutene, Ethylhexyl Palmitate, Polyethylene, Silica Silylate, Microcrystalline Wax/ Cire microcrystalline/ Cera Microcristallina, VP/Hexadecene Copolymer, Cetyl PEG/PPG-10/1 Dimethicone, Sorbitan Isostearate, Caprylyl Glycol. May Contain/Peut Contenir/Puede Contener: Titanium Dioxide (CI 77891), Iron Oxides (CI 77491, CI 77492).